Huawei P8 is one of the most successful flagship smartphones produced by Huawei. The device runs on Android Lollipop and can be upgraded to Android Marshmallow as well. Just like any other Android smartphone, it also comes with plenty of features. Though, most of the Android phones also have certain restrictions associated with them. In order to truly personalize your device, you need to root your Huawei P8. In this guide, we will let you know the benefits to root Huawei P8 and how you can perform the rooting operation in no time. Let’s get it started! Part 1: Why should you root Huawei P8? Huawei P8 is certainly an exceptional device. Nevertheless, after performing Huawei P8 root, you would be able to make the most out of your device. Though after performing the root operation you might end up tampering the warranty of your device, but it is certainly a risk worth taking. Here are some compelling reasons for you to root P8 right away. •	Rooting Huawei P8 will give you a provision to flash custom ROM. By adding a customized version of Android, you can drastically change the way you use your device. •	You can get an unparalleled access to different apps. There won’t be any restrictions on the kind of apps you can install on your Huawei device. •	After performing Huawei P8 root, you would be able to automate everything. From changing the CPU processing speed to the network transition – the sky is the limit here. •	Since rooting gives you more power, it will drastically improve the overall processing speed of your device. You would also be able to optimize its battery life. •	You don’t have to see those unwanted ads as well. After performing the root P8 operation, you can just turn off ads in almost every app. •	Additionally, rooting will give you an access to uninstall all those pre-installed apps that aren’t really that useful to you. •	You can also flash a custom kernel after the rooting operation. It will let you optimize your hardware and give an access to plenty of added features. After you root Huawei P8, you would be able to enjoy all the above-stated benefits. Now when you know the perks of rooting, let’s move ahead and learn how to root your Huawei device. Part 2: How to root Huawei P8 with Android Root? There are plenty of ways to root Huawei P8. 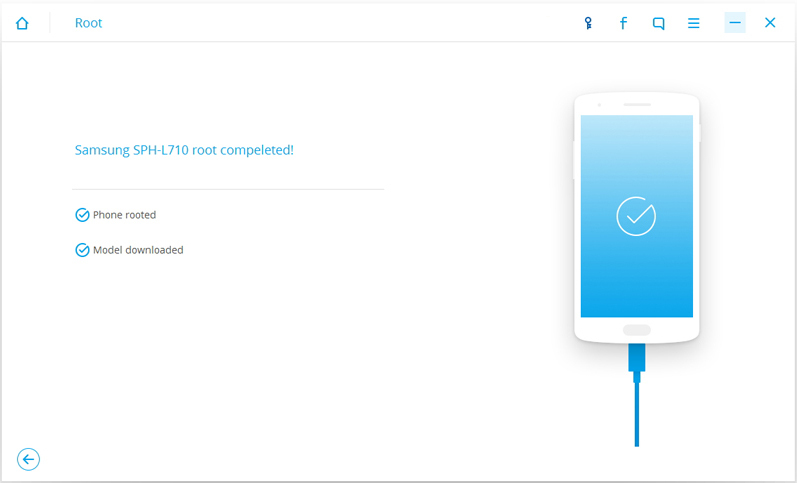 To help you root your device in a more secure and reliable way, we have come up with an excellent application – Android Root. It is one of the best ways to root P8 in less time. The application comes with the dr.fone toolkit and can be downloaded from its official website right here. Before you commence, you need to make sure that you have taken a backup of your data. Since after rooting, you would end up losing the data on your phone, it is highly recommended that you take the entire backup beforehand. Additionally, since the entire process of rooting might consume a substantial amount of your phone’s battery, you need to make sure that it is at least 60% charged. 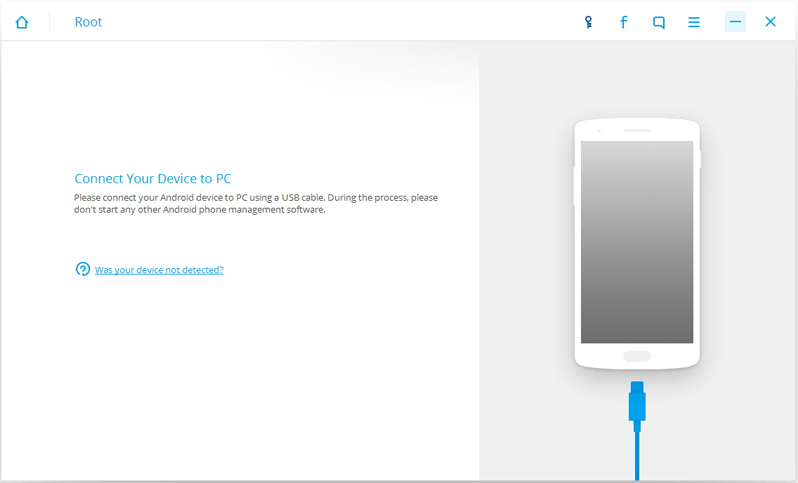 Lastly, before you proceed, turn on the “USB Debugging” feature on your Huawei P8. This can be done by visiting Settings > About Phone > Build Number and tapping it seven times. It will unlock the Developer Options in your device. Simply visit it and turn on the USB Debugging section. Great! Now when you are all prepped up, simply follow these simple steps to root Huawei P8 using Android root. 1. After installing the software on your system, simply launch it to access its features. Out of all the options, select the “Root” feature in order to proceed. 2. You would be welcomed by the following screen. 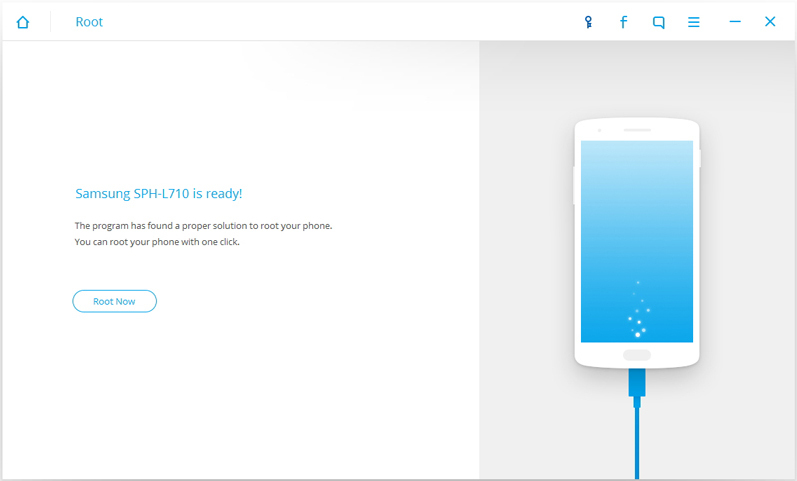 The interface will ask you to connect your Huawei P8 device to the system using a USB cable. Make sure that the USB Debugging option has been enabled. Additionally, you might receive a pop-up message on your mobile. Simply tap on the “Ok” option in order to allow USB Debugging. 3. As soon as you would connect your phone, the application will start detecting it. Give it a while and wait for the interface to display some basic details related to your phone on the screen. Your phone might get restarted during the process. Make sure that you don’t disconnect your device and let the application access it. 4. After a while, the application will make your device ready to commence the rooting process. The interface will change and let you know about the progress. You can simply click on the “Root now” button to commence the rooting process. 5. Sit back and relax as the software would perform the rooting operation. At this stage, you might receive an additional pop-up on the screen. Simply agree to it and let the application root your Huawei device. As soon as it is done, it will prompt you with the following message. That’s it! After performing these simple steps you would be able to root P8 without any hassle. So what are you waiting for? Now when you know all the benefits of rooting your Android device and a hassle-free way to do it using Android root, nothing can really stop you. Go ahead and download Android Root and unleash the true potential of your Huawei phone by rooting it.